If a work-related injury occurs, there are certain things that need to be done, from seeking immediate medical treatment to payment of lost wages, called temporary total disability. I will handle your case with personal care and attention in all stages, from initial injury to settlement or trial. I am committed to seeking the best possible outcome for my clients’ cases. My thorough approach to analyzing critical information is a skill I have acquired through years of dedicated law practice. I assist my clients with the filing of their claims, obtaining benefits, settlement and going to trial if necessary. Occurred on the job. It must be provable that your injury or condition was caused by an accident at work or is the result of ongoing working conditions, such as repetitive motion or exposure to hazardous materials. Negligence on the part of your employer. 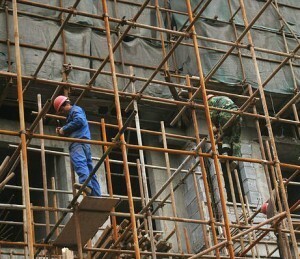 The company or a supervisor must have had a reasonable level of responsibility to take action to prevent the injury. If you tripped on an object in a walkway, for example, you may need to argue that the employer was obligated to keep the area free of debris. Demonstrated suffering on your part. In most cases, your injury must be serious enough to result in medical bills and lost income. It may also be possible to seek compensation for pain and suffering. Workers’ compensation laws are designed to protect employees who are injured or disabled on the job by providing them with certain benefits. In return, these employees relinquish some of their rights in seeking redress. My law firm has the skill and knowledge to allow us to obtain the best possible compensation for our clients. Seek medical attention. 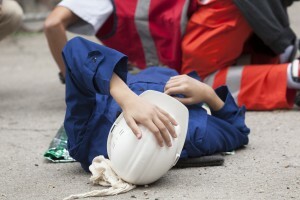 If you suffer a job-related injury, seek medical treatment immediately. This may reduce the severity of your injuries, and it provides documentation that you may need to prove your case. Report your injury. In Illinois, workers are required to report all workplace injuries to management or supervisors as soon as possible, and at least within 45 days of the accident. You can do this in person or in writing. File a claim. If your injury leaves you unable to work for three days or longer, file a workers’ comp claim with the Illinois Workers’ Compensation Commission by filling out an application for an adjustment of claim. While some workers are afraid of dealing with their employers after filing a claim, the truth is that most of your communication occurs only with your lawyer and your company’s insurance provider. If your employer does not begin paying benefits, you are entitled to receive a written explanation of why you were denied, including whether additional information is needed from you. 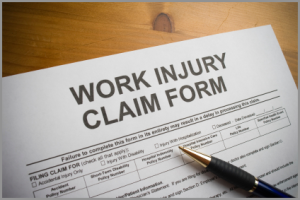 An experienced Chicago work injury lawyer can help you appeal a denied workers compensation claim. We work hard to get you the benefits you need so you can focus on your physical recovery. Whether you are seeking benefits for partial disability, temporary total disability or permanent disability, a workers’ comp lawyer with our firm can assist you. 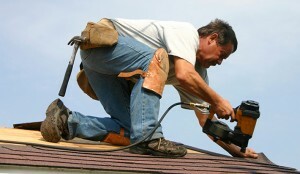 The laws related to workers’ comp are complicated and vary based on your occupation. My law firm helps community members who work in a wide range of industries, and we’ve served our clients diligently for more than 15 years. Let us handle your case, and all the corresponding paperwork, so you can focus on your physical recovery. We work on contingency, which means you pay us only if we recover compensation in your case. The vast majority of our cases are settled out of court, meaning you’re likely to be spared the stress and hassle of going to trial. When you come in for your free initial consultation, Phil will speak with you in person to help you understand your rights and get the compensation you deserve. Please call us today at 312-375-6524 for a free consultation. I am here to help.